October is around the corner, a month that symbolizes Fall, Halloween, the fast approaching holiday season and a cause near and dear to our hearts, the fight against breast cancer. 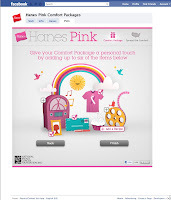 This week, Hanes launched a comfort sharing Facebook application for Breast Cancer Awareness. The new Facebook app lets fans personalize and send free Virtual Comfort Packages to help provide support and comfort to friends and family. 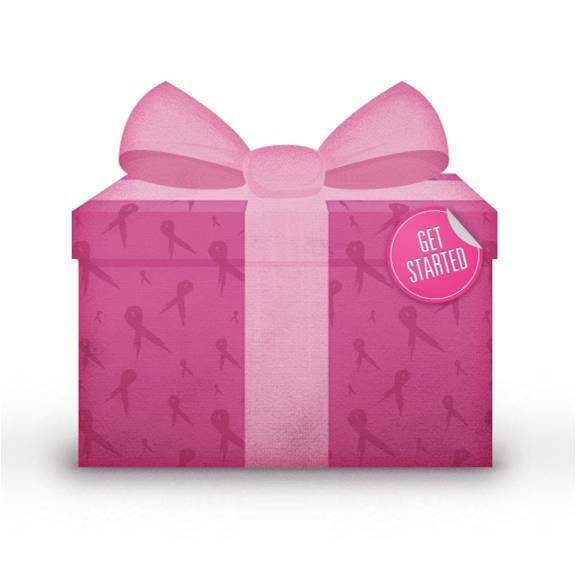 For each package sent, Hanes will donate $1 to the National Breast Cancer Foundation, Inc. to promote early cancer detection and provide mammograms for those in need. The free virtual Comfort Package can be sent from the Pink tab on the Hanes page and is fully customizable with photos, videos, recipes, T-shirt designs, music and messages. Hanes new Virtual Comfort application allows users to share comfort with those who need it most. Fans of Hanes on Facebook can personalize and send free virtual Comfort Packages to friends and family via a digital tool on the Hanes Facebook page. For each package sent, Hanes will donate $1 (up to $25,000) to the National Breast Cancer Foundation, Inc. to promote early cancer detection and provide mammograms for those in need! help provide support and comfort to a loved one. and encouragement to those touched by this terrible disease. 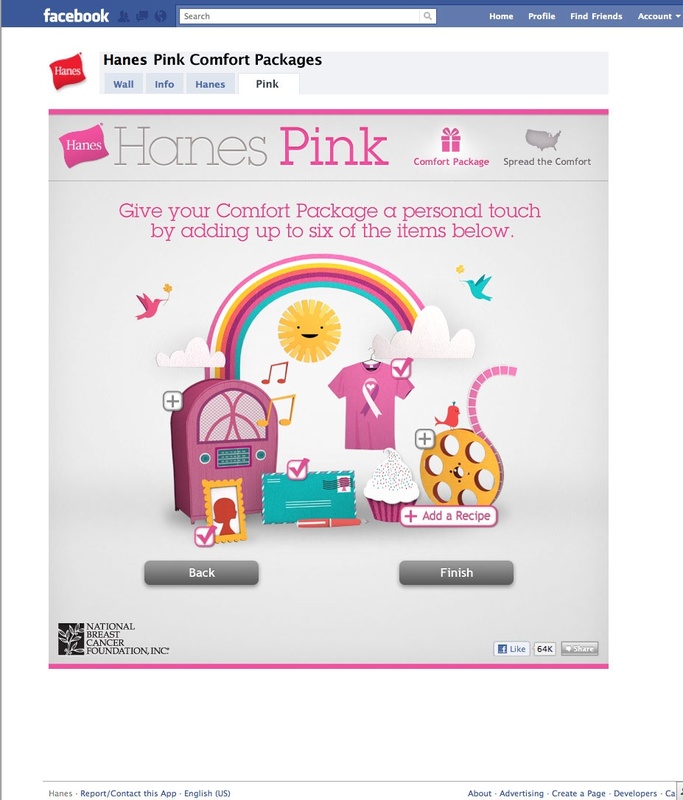 The Comfort Package is an extension of the many ways Hanes contributes to breast cancer awareness. As a longtime supporter of breast cancer awareness, Hanes has made cash and in-kind donations totaling $1 million since 2009 and is donating up to $125,000 to NBCF this year. disclosure~ I participated in this campaign as a member of One2One Network and am eligible for a prize drawing. All opinions stated in the post are my own.